We are passionate about taking care of all your lawn care needs. 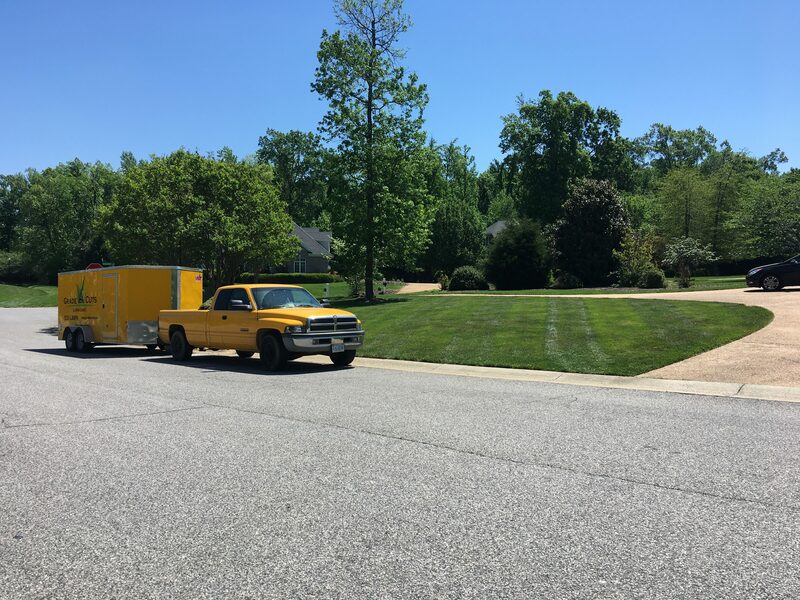 We provide assurance that you will be more than satisfied with our lawn care services, and we provide customers with a reasonable and fair rate. 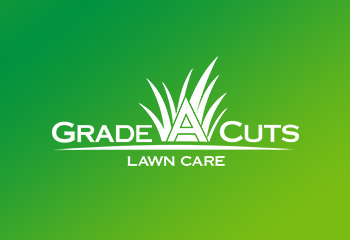 Grade A Cuts trained experts have the information necessary to keep your grass flourishing all year round. Your home, garden and lawn are one of the most important investments you’ll be making over the next few years. A fulfillment of dreams, your home represents the place where you will be creating special family moments and treasured memories. We understand that the care and maintenance of your home is of concern to you, not only because of its resale value down the line, but more importantly the pleasure it is to live in a beautiful, sparkling, and vibrant environment. Bushes and hedges are the classic way to give an outdoor area a touch of class. A perfectly trimmed bush is the perfect finishing touch to a beautiful garden, while hedges provide your lawn and garden protection from the elements as well as valuable privacy. In our busy day to day world, many of us don’t have much time to spend on our lawns. Does your lawn or landscape need a fresh application of mulch to enhance your curb appeal? If so, this is a great time to have Grade A Cuts freshen up your lawn, landscape, or garden with a new application of our custom blend mulch. 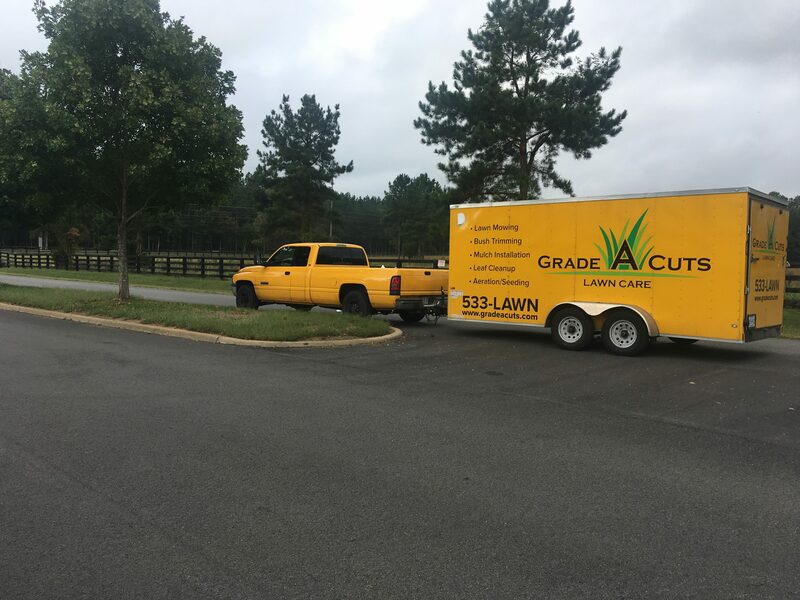 Grade A Cuts is widely regarded in the lawn care industry as one of the most professional and reliable mulch installation companies. How can you make your lawn look more beautiful and healthy than it has ever been? Of course, you need to have a professional lawn mowing team come in and detail it to perfection. After your lawn has been mowed, trimmed and edged by our Grade A Cuts Lawn Care team, we believe that a truly perfect lawn requires that extra 10 percent of effort to not only look it’s best, but to be healthy and lush. We highly suggest Aeration and Seeding. don’t have to struggle with raking all those leaves and debris from your lawn and flower beds, when you can call on Grade A Cuts Lawn Care for leaf cleanup & removal. It may require a little money, but think of all the time, energy, and frustration you will be saving. If you choose to let our lawn care experts handle the cleanup for you, you can relax, knowing that the job is going to be done right and that all those fallen leaves will not affect the health of your lawn.